Charlie is one of the senior partners at Meagher & Geer. He focuses his practice on the defense of mass tort/toxic tort cases, with a particular emphasis in asbestos litigation. He has practiced in the area of toxic tort litigation for the past 35 years. He is the head of the firm’s Mass Tort/Toxic Tort Liability Practice Group. 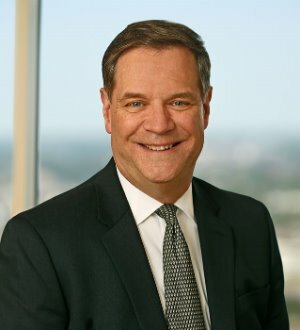 Over the years, Charlie has served as local and regional trial counsel as well as national coordinating counsel for companies involved in asbestos personal injury and property damage litigation. In addition, Charlie has defended manufacturers and distributors in other types of toxic tort litigation, involving products including benzene, latex, lead paint, polyurethanes and silica. He is a member of the Toxic and Hazardous Substance Committee of the International Association of Defense Counsel. Because of his experience and reputation, Charlie is on the “approved” list of most major commercial insurance carriers. His clients range in size from Fortune 500 companies to small family-owned businesses. Outside the office, Charlie is on the board of the Eden Prairie Baseball Association. He coaches baseball, participates in the sporting activities of his three children, and looks forward to concentrating on his golf game once they are all in college.